Crystallized dog tag with a reversible heart charm. 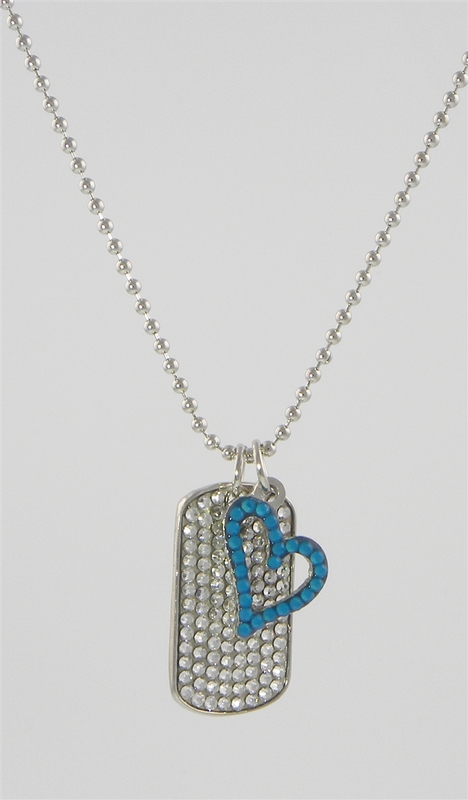 Clear crystals on one side of the heart with your crystal color choice on the reverse side. Comes on a 20" sterling silver chain over plated with rhodium. The chain may be clipped to your favorite length. Charms slide on and off the chain.